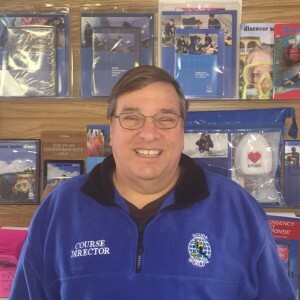 Scuba World Instructor Development Center has two full time PADI Course Directors at our store in Dover, Delaware. We also have several IDC Staff Instructors on staff at your disposal. With small class sizes and a proportionally large staff, we are able to give you the best experience possible for your Instructor Development Course. You will have a variety of experienced instructors who are able to give you more personalized one-on-one time. We are sure that we can help you to have a fun, safe, educational, and successful Instructor Development Course. We are proud to say that we have a 100% pass rate at the Instructor Exam since 1991. For more information about our professional level courses, please call (302) 697-2882 or email jmarelli@scubaworldinc.com. Register for the IDC Online – PADI’s eLearning option that lets you study independently at your own pace before class. There are nine interactive knowledge development sections. Prestudy online can save one whole day of class time, which allows more time for practicing the skills that distinguish you as a PADI Instructor. Click here to start your IDC online! Click here to start your Dive Theory Course online! 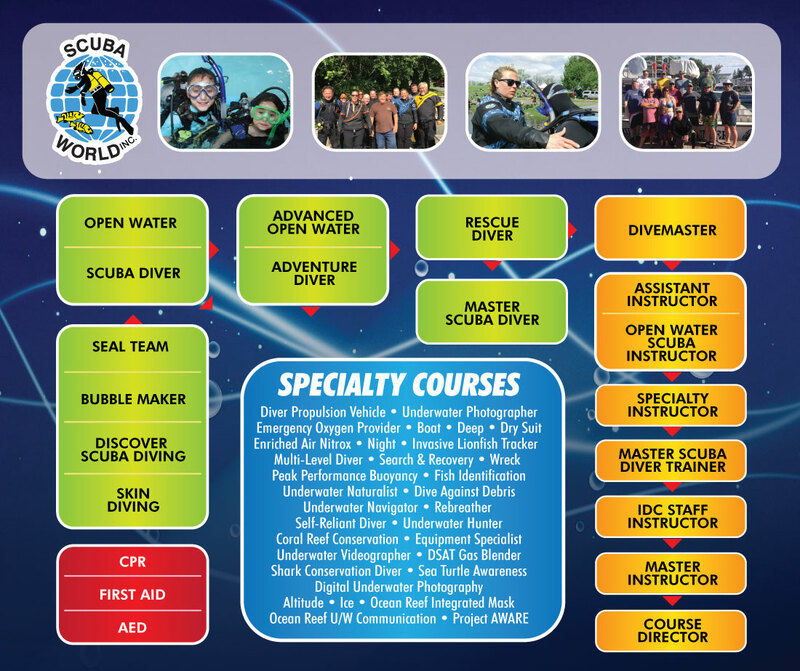 Visit Scuba World to learn more about your Instructor Development Course. You can also call (302) 697-2882 or email jmarelli@scubaworldinc.com. An Instructor Examination (IE) is a two-day evaluative program that tests an instructor candidate’s teaching ability, dive theory knowledge, skill level, understanding of the PADI System, and attitude and professionalism. PADI IEs are standardized and conducted by specially trained PADI Instructor Examiners. The IE location, testing environment and examination sessions are organized to be as objective as possible to fairly and consistently evaluate a candidate’s abilities. Only those who meet the IE performance requirements earn the respected PADI Instructor certification. There is a fee (about $700) for attending an IE, which is not included in the price of the course. How much does the IDC cost? The Instructor Development Course costs $2,095, which includes all instructor fees and pool fees. Candidates must purchase the PADI Instructor Crew Pack. Any fees associated with open water (boat, quarry fees and lodging) are not included in the price of the course. An Instructor Examination (IE) is a two-day evaluative program that tests an instructor candidate’s teaching ability, dive theory knowledge, skill level, understanding of the PADI System, and attitude and professionalism. PADI IEs are standardized and conducted by specially trained PADI Instructor Examiners. The IE location, testing environment and examination sessions are organized to be as objective as possible to fairly and consistently evaluate a candidate’s abilities. Only those who meet the IE performance requirements earn the respected PADI Instructor certification. 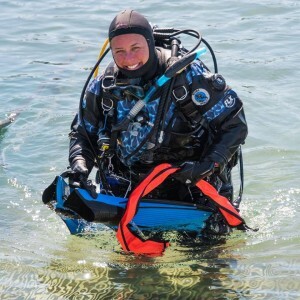 There is a fee (about $700) paid directly to PADI for attending an IE, which is not included in the price of the course. READY TO DIVE! SIGN-UP TODAY! READY TO DIVE? AWESOME. Follow this link to start diving today!